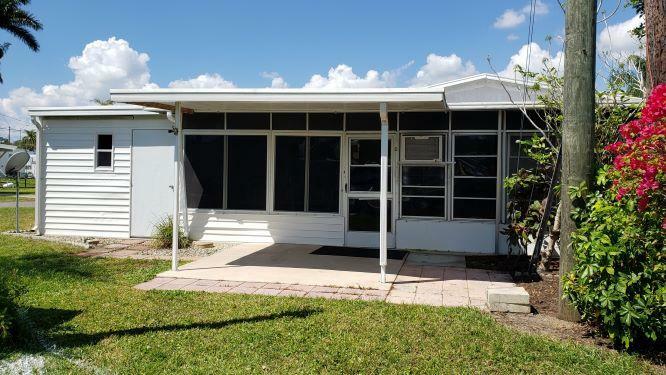 Lot 247 Riverside Drive – ID 103 This (12 x 56’) 2 Bedroom / 2.5 Bath 1969 mobile home with central heat/air, has a large (350 Sq Ft) screened-in lanai with a half bath and attached laundry, creating 989 Sq Ft of total living space. Additional features include a covered, concrete-floor carport (11’ x 36’) with driveway, an exterior garage to house your golf cart or for storage, and a covered, (10’ x 10’) patio with concrete floor, to enjoy a view of the sunrise over the canal. 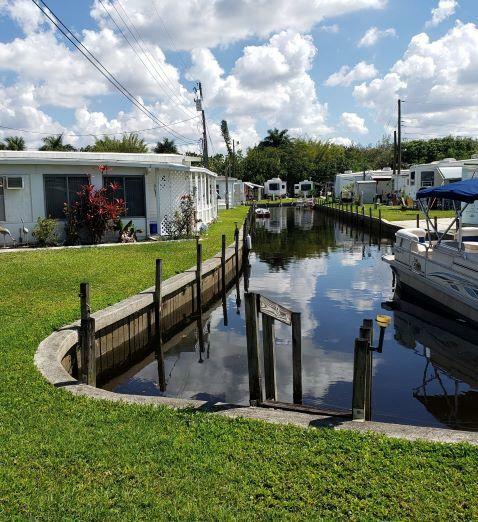 Located on a great corner canal-access lot! All waterfront lease holders that are boat owners have first privilege to next-to-lot docking, at no additional cost. 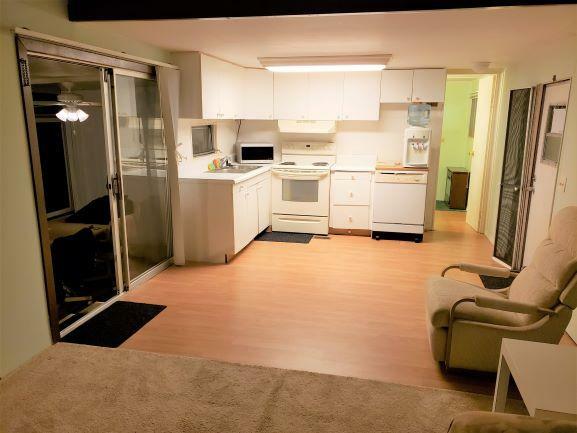 Includes washer/dryer and some kitchen appliances. Asking price of $38,000, which includes a $19,000.00 paid-up 99-year lot lease. 2019 HOA/maintenance fees are a low monthly rate of $127.00. 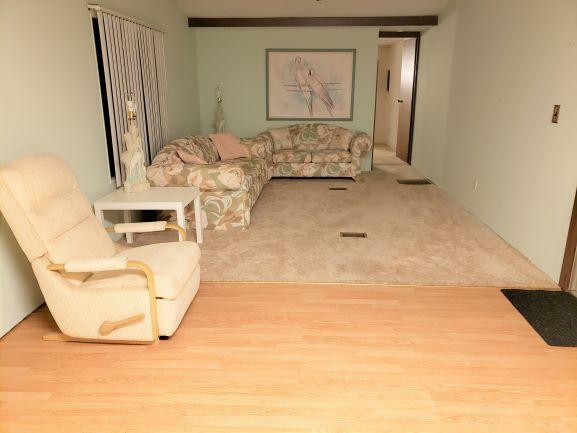 For more information call the owner, Ken Kondratko at 313-205-6877. At the end of a beautiful, quiet canal and a great place to watch sunrises.